Taiwanese major ‘HTC’ is finally rolling out the long awaited Nougat update to the HTC One A9 in Europe. Beforehand, the US unlocked and the Sprint variants of HTC One A9 have received Nougat already. Today, the HTC EMEA’s Product and Service Director- ‘Mr.Graham Wheeler’ tweeted via his official twitter account confirming of the Nougat update to the One A9 device. Meanwhile, the rollout is only happening to the European variants starting with Belgium, but we hope a broader rollout to Germany, Italy, UK, France etc. The Nougat firmware comes to us as OTA(Over-The-Air) update, and you will receive the same only if you are on the previous stock Marshmallow firmware. 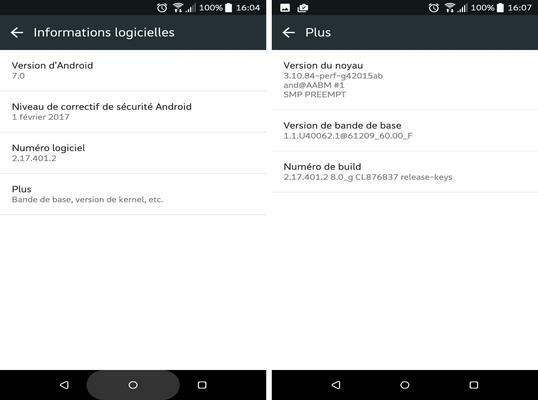 Moreover, the firmware update takes the device to its newer 2.17.401.2 software version, which eventually takes the device to its Nougat build out of the box. Not latest but the February 1, 2017, security patch level from the AOSP is also bundled. The full firmware files are not available at the moment, however, the OTA can be captured on your device using the steps given below. How to download Android 7.0 Nougat for HTC One A9 with 2.17.401.2 version? The download links are not active at the moment. We will update the above link with the file information as soon as it goes live on the HTC servers. How to capture the OTA? If you are on the Stock Marshmallow firmware, you can check for the OTA via the Settings> About Phone> Software Updates. If you receive the OTA, download and install the OTA automatically via recovery mode. However, if you already possess the OTA then you can ADB sideload it. See how to install OTA using adb sideload method. So what do you feel about the most awaited Nougat update? What features you loved in the update? Share your experience with us via the comments section below. Also, tip us if you have the full firmware links so we update the article soon enough.